Two friends, Rebecca and Tessa, are holding a one day sale of home made caramel just round the corner from the Museum of Childhood in Bethnal Green. You can also win a prize by guessing the secret flavour! "This December, we've got our thermometers out and we can see that things are getting pretty hot on the Sugar Loaf Walk. We're cooking caramels better than Walter White cooks crack. Our caramels taste so good, they probably are criminal - but we promise they'll look much prettier than your average mug shot. Our caramels are perfect for Christmas gifts, they keep for ages, so you don't have to eat them all at once - but if you don't someone else definitely will. Expect experimental flavours along side some firm favourites. And if you fancy yourself as a bit of a super taster with a palette to rival Heston's you should come and play guess the secret flavour! 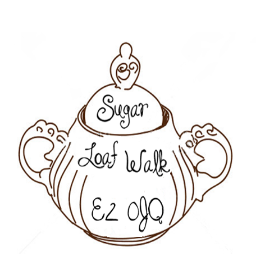 So come on down to Sugar Loaf Walk, on Sunday the 16th of December and buy some delicious buttery caramels!"